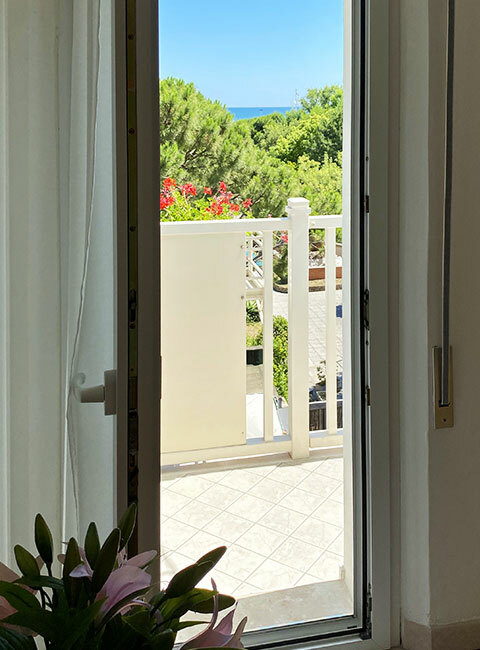 The Serafini family is pleased to welcome you to Hotel Villa Aida, a lovely hotel by the sea and near the Thermal baths in Riccione, where you can spend an unforgettable holiday on the Adriatic Coast. Here hospitality is a tradition that has been carried on for since the year dot. 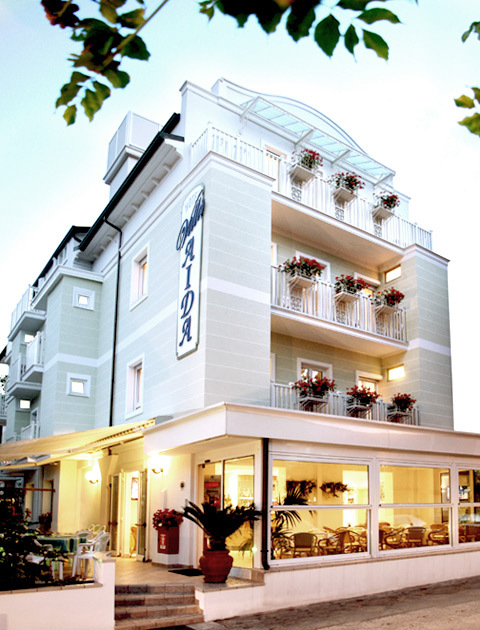 Hotel Villa Aida is located just a few steps from the sea and the spa of Riccione, in a very green area. 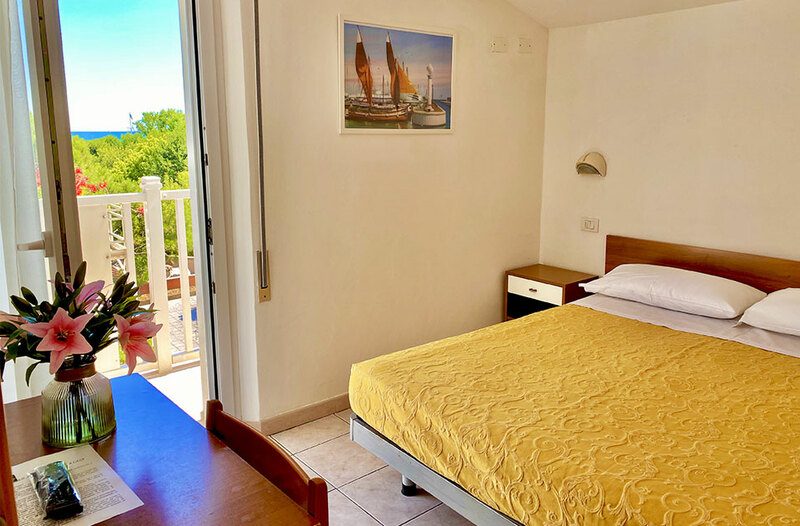 For this reason, our hotel is the perfect destination for your beach holidays in Riccione, where you can enjoy the sun and the sea, and you can have fun and relax at the thermal baths together with your family. 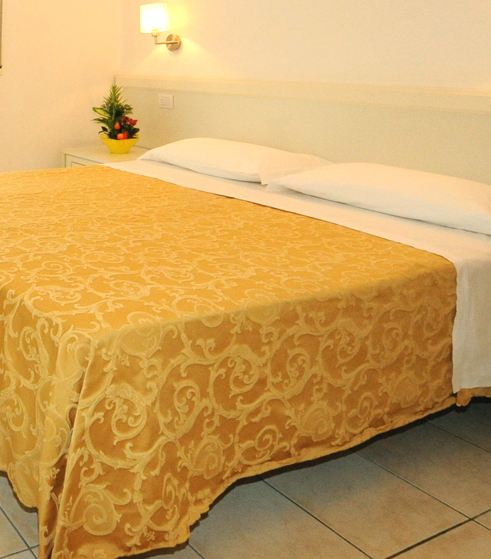 The beaches and the bathing establishments in Riccione are well-equipped: the hotel offers its guests private changing rooms, and lots of activities and entertainment for adults and children take place every day on the beach. Staying in our family-run hotel means relaxing and having fun: Hotel Villa Aida is the perfect destination to combine a beach holiday with the wellness treatments and programs of the Thermal baths in Riccione, since you can also benefit from the agreement between our hotel and the spa. 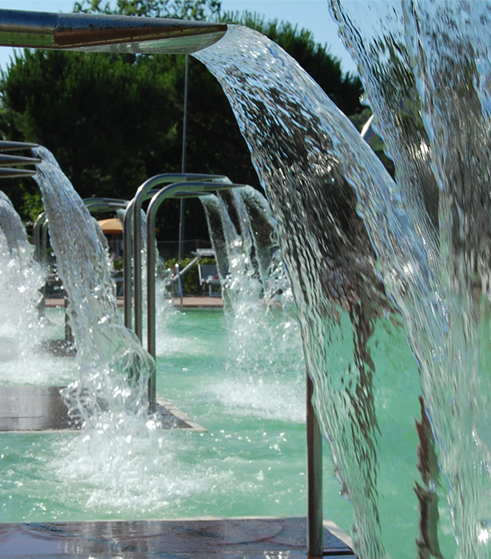 Don’t miss our specific price list and your free entrance to the stunning Perle d’Acqua Park. 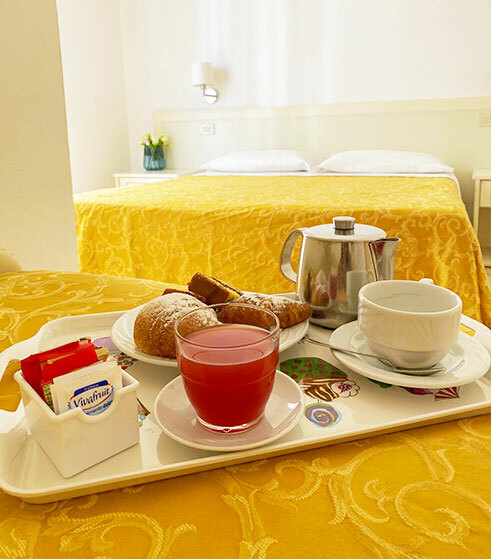 Furthermore, at Hotel Villa Aida in Riccione special attention is paid to the needs of younger guests, therefore we enable you to create different menus according to your children’s age, and we provide baby seats for bikes, so that Mom and Dad can comfortably ride along the new bike lanes during their fun and relaxing bike tours with children.